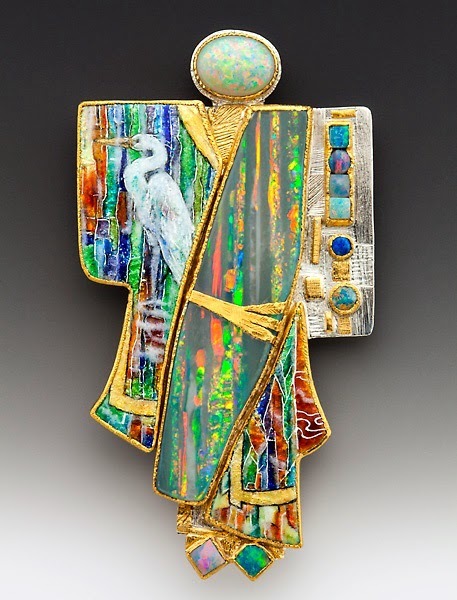 I love opals in all shapes & sizes but this combination is, well this is extraordinary! Worn against black it would be outstanding! I am fascinated with this piece!